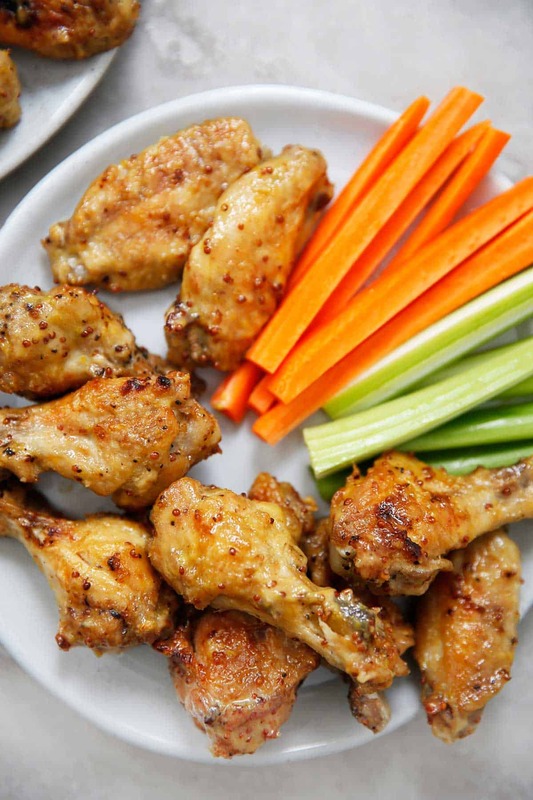 This Honey Mustard Chicken Wings recipe can be made in the Instant Pot or baked in the oven, and they are a crowd please. A perfect game day or dinner wings recipe that everybody will love. 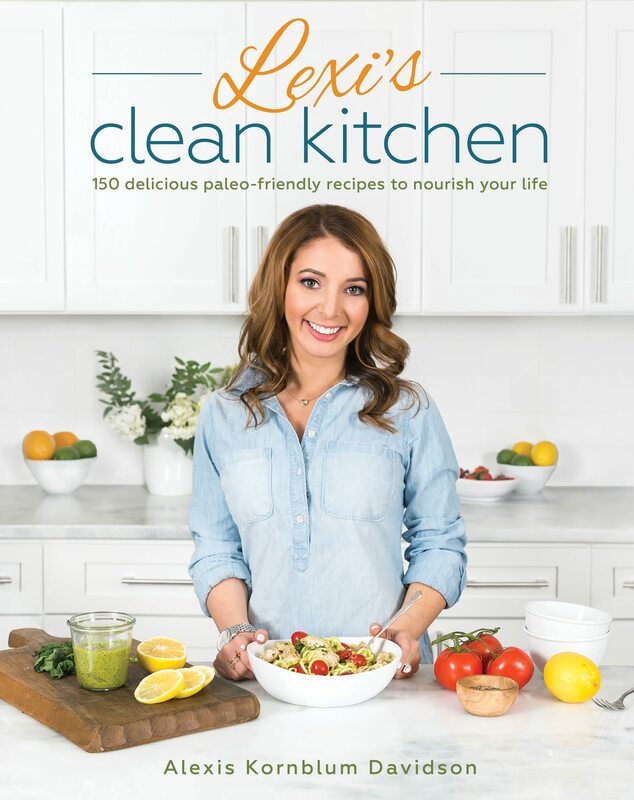 They are paleo-friendly and totally gluten-free, and get perfectly crispy with the right amount of sauce-y goodness! 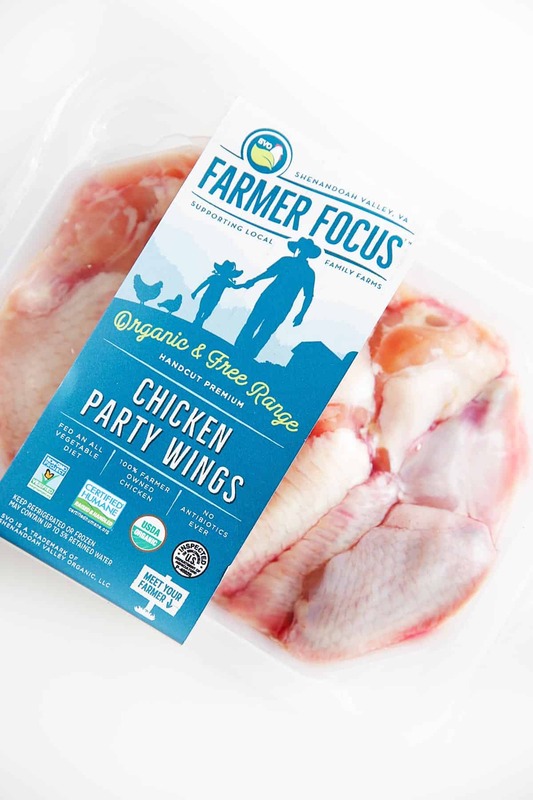 Made in partnership with Shenandoah Valley Organic, who make my favorite and trusted chicken wings! We are big fans of wings over here. That means we are tough critics! They need to be tender on the inside and crispy on the outside, and the sauce has to be GREAT. I love this honey mustard sauce SO much. It’s also great to dip nuggets in! 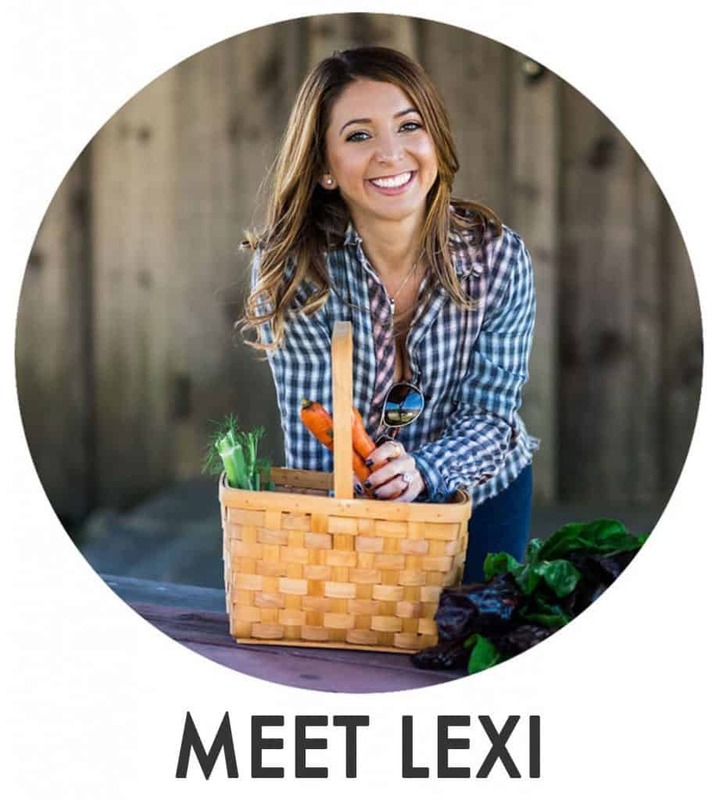 I am so excited to partner with my friends at Shenandoah Valley Organic to bring you today’s post! I have talked about this company before, and honestly, they are truly the best. I love their integrity, and that they pride itself in producing the highest quality chicken grown on family-owned farms. With all the debate over which chicken to eat (organic, pasture-raised, free range, etc.) I so appreciate their authenticity. On their website you can see where all of the farms are located, so you know just where your chicken was raised, how cool is that? I just LOVE all of that. How do you make honey mustard? I love making my honey mustard creamy with this winning recipe below! How do you make hot honey mustard sauce? Want a little kick to your honey mustard? Add a little sriracha, cayenne pepper, or my personal vote, red pepper flakes. With paper towel, pat wings dry. In large bowl combine garlic powder, onion powder, salt and pepper. Add wings and toss in mixture. Set trivet in Instant Pot and add 1 cup of water, then set wings on top of trivet. Cook on high pressure for 6 minutes, or 12 minutes for frozen wings. Remember to turn the pressure valve to SEALING function before cooking. While wings cook, whisk together the ingredients for the honey mustard. Once done, use quick release function: turn knob to venting. When the pin drops, place wings on rimmed baking sheet with wire rack and broil for 7 minutes, rotating pan half way through, to crisp skin. Remove wings from oven and flip. Return to oven to crisp on other side for 7 minutes, rotating pan half way through. 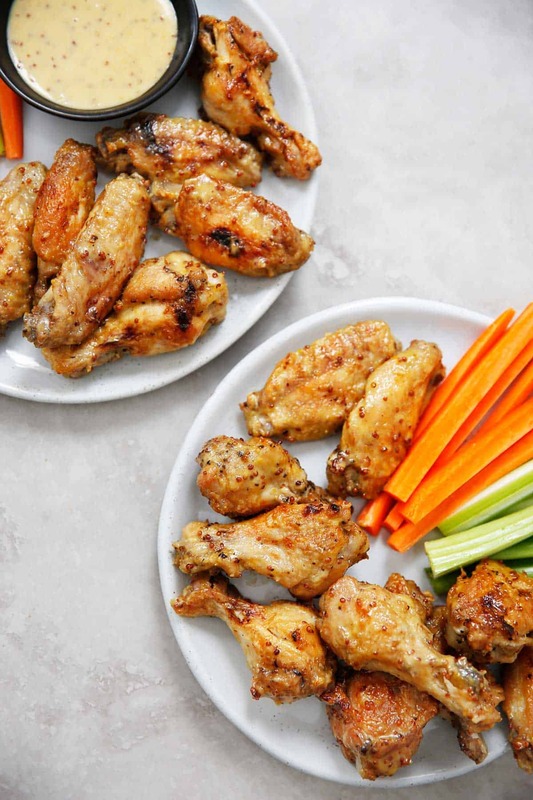 Once crisp, toss chicken wings with honey mustard and serve immediately with carrot, celery and red pepper sticks. Serve with additional honey mustard if desired! Preheat oven to 400ºF and line a baking sheet with slipat or parchment paper and place a wire rack on top. Pat chicken wings dry with a paper towel, and then coat the chicken wings in oil, salt, onion powder, and garlic powder. Bake for 40-45 minutes, flip wings after 30 minutes, and cook for a remaining 10-15 minutes. In a bowl whisk together honey mustard sauce. Remove wings from oven and toss them inthe sauce. Once coated, place back on the rack and bake for an additional 5 minutes (save extra sauce). Remove wings from oven, coat with extra sauce. 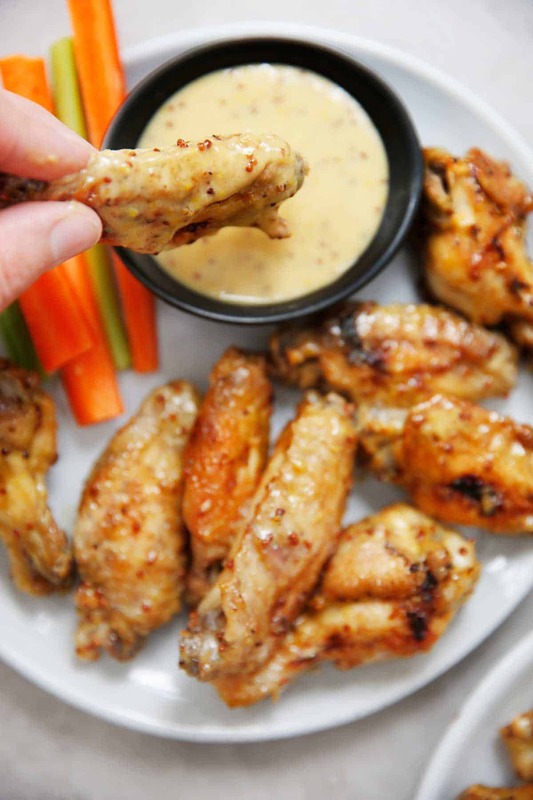 Your honey mustard recipe is amazing, paired with chicken wings?!!? This is sure to be a win! Can’t wait to try them!! That sauce sounds so good! Can’t wait to try these out! These chicken wings look so meaty! Just the way they should be! And love the honey mustard sauce!! Paleo AND gluten-free?! I’m impressed…and hungry (but that was a given). My husband and I loved these. The meat fell right off the bone and was so tender. Not dried out at all. The sauce was also delicious. Will definitely be making these for our next party. YAY. I am so glad you love them! These sound SO good! Love a great honey mustard sauce. I’m really interested in Creamy Honey Mustard Sauce, it looks really delicious and a best sauce for the chicken wings. I’m wondering how the taste of Dijon Mustard is and if I use another kind of mustard, is this a big difference? We made these delicious (and addictive) Wings two nights in a row… and had to use a lot of self control not to make three! 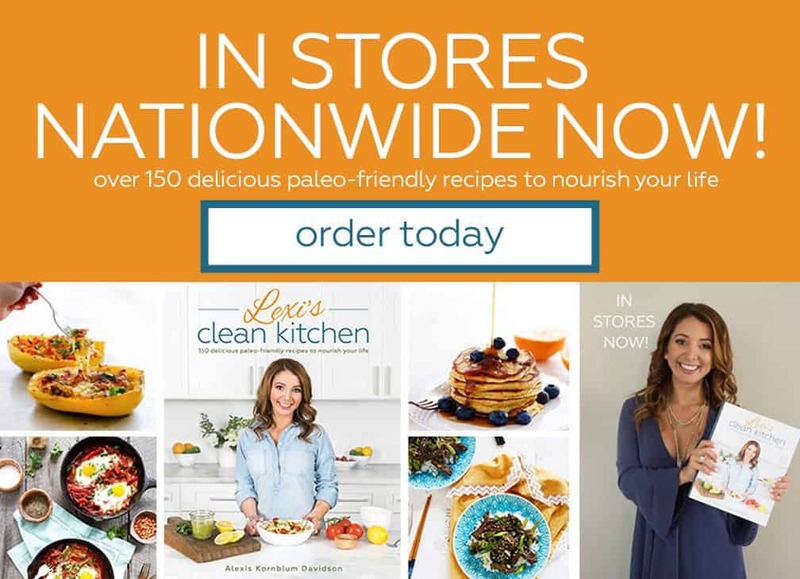 I’m wondering why use the Instant Pot? Then you end up with two things to wash and clean?. Does the IP make them that much more tender than baking in the oven? These look amazing!! Can they be made ahead of time/how do you recommend reheating them?